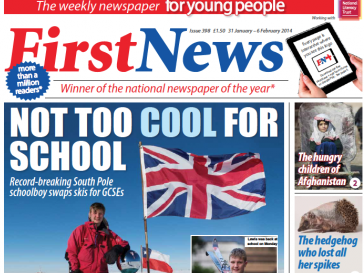 First News, the weekly newspaper for seven to 14-year-olds, has recorded the highest circulation among children’s magazines in the UK for the first time since its launch 11 years ago. It came top out of 37 titles with an average weekly combined (print and digital) circulation of 86,413, up 4 per cent year-on-year, according to ABC figures for the first six months of the year. The newspaper, founded in 2006, beat the likes of branded magazines about Lego, Peppa Pig and Disney’s Frozen to come top. Audited figures show First News’ percentage of actively purchased copies – including sales and subscriptions – was at 49.5 per cent compared to 100 per cent for most other children’s magazine titles. But a spokesperson for the newspaper said that all of its sales are actively purchased, about half of which come from multiple subscriptions from schools. Sarah Jane Thomson, founder and chief executive of First News, said: “Eleven years ago we identified a gap in the market and have been producing a quality title ever since. “Our plan was to bring news to children – and we have stuck to that plan, which has been our key to success. Teachers, parents and of course children themselves appreciate our non-sensational approach to national and international news. “However, we are aware of the potential challenges of a declining newspaper market and the opportunities available to us as a result of having built a strong brand following. First News claims more than half of all UK schools are subscribed to the newspaper, with some teachers using it as a reading resource in classrooms, and that it has more than 2m readers. For its tenth anniversary last year, First News carried a tribute from the Duchess of Cambridge and a photo of Prime Minister David Cameron clutching a copy on the front. 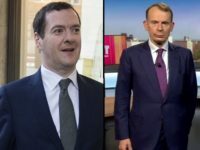 During the general election campaign this year, it hosted its own “junior general election” claiming more than 2,000 readers voted.